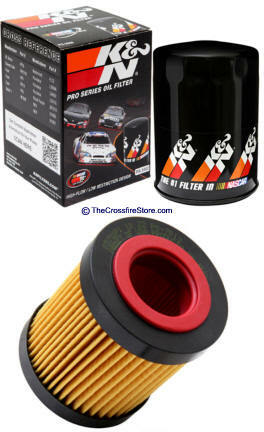 K&N knows performance filtration. While their air filters and intake systems are legendary for striking the perfect balance between filtering and flow, they've also developed an equally impressive filter for your engine's lifeblood: the K&N Pro Series Oil Filter. Tough enough for the track yet safe for the street, the K & N Pro Series uses an advanced filter medium to scrub away gunk without creating a bottleneck. By clearing away the restrictions that come with lesser oil filters, the K&N Pro Series can actually improve your motor's performance—all while trapping 99% of contaminants before they gum up your drivetrain. Plus, the pleated design holds extra oil, making it ideal for rides that run long between services.